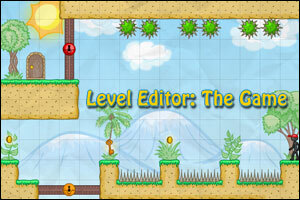 Level Editor: The Game is a platform puzzle game designed by Sigma Studio. Your goal is to reach the exit door in each level (40 in total, from easy to impossible!). To do so, you can “edit” the level you play by adding some blocks, spikes or elevator to help you avoid enemies and destroy them. Use your mouse to move/place blocks and use WASD or arrow keys to move your stickman. To spice things up, you have a limited time to complete each level and things get very tricky in later levels. This one is a nice and challenging game that should keep you busy for a while! Posted on Wednesday, November 11th, 2009. Follow any responses through the RSS 2.0 feed.